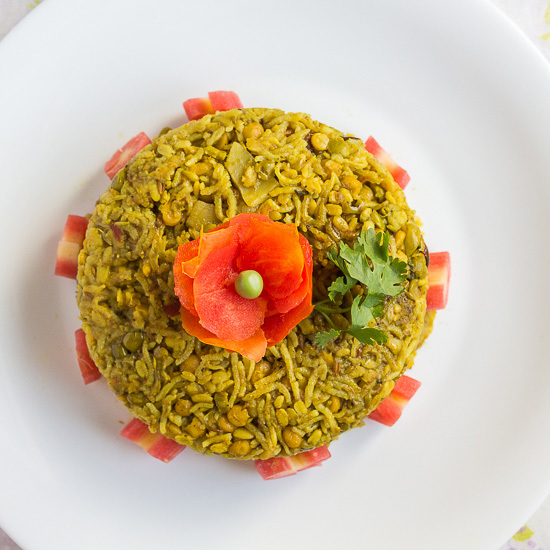 Matar ki Ghugni or more widely known as Hare Matar ki Ghugri is a dish that celebrates the fresh produce of Green Peas (Hare Matar). 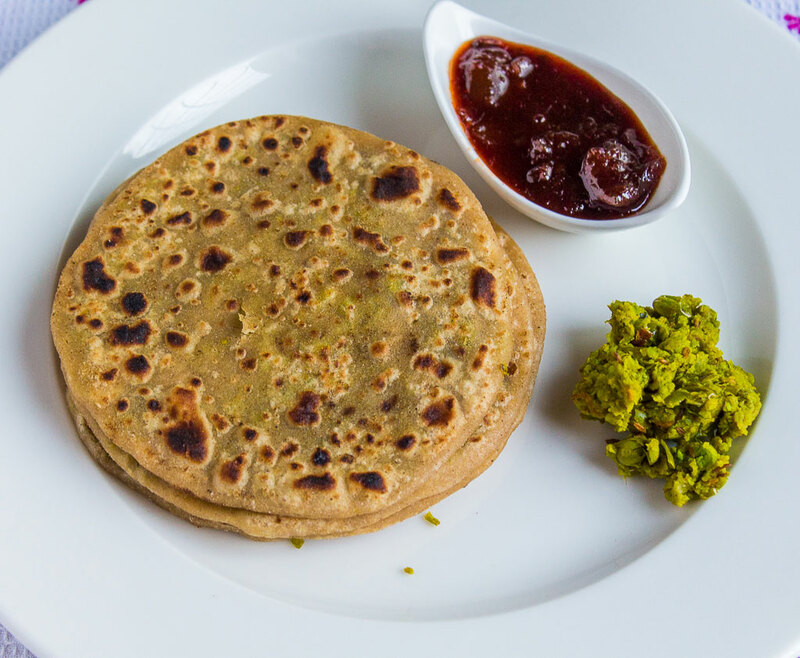 Like Nimona and Matar Ki Poori this recipe is also a common Uttar-Pradesh household recipe. Late sunrises, chilly mornings and nippy air. Here comes the winter, sneaking in gradually, catching us by surprise. Not that we mind it. In fact, of all the seasons, winter is my favorite. 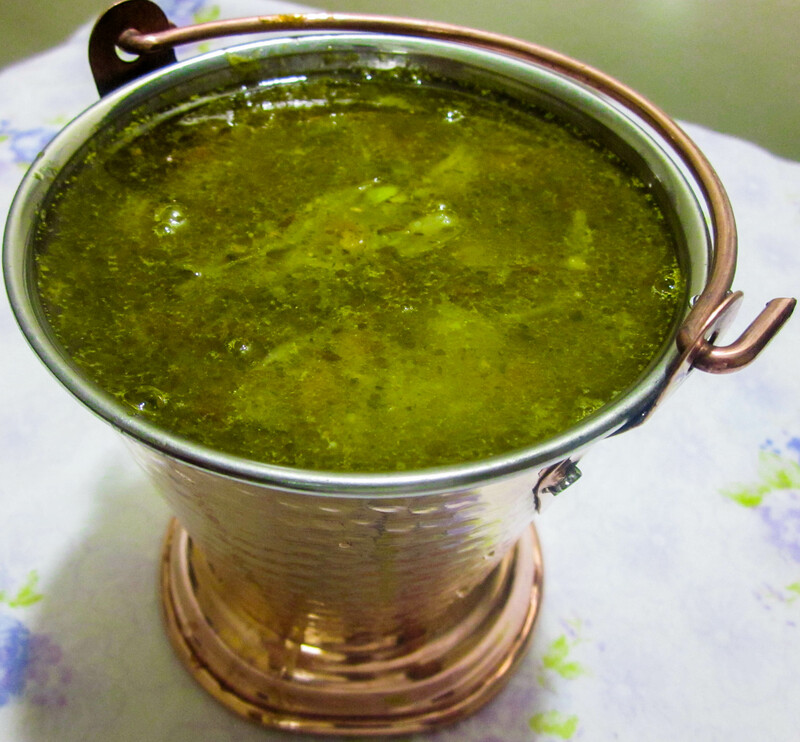 This recipe also comes from my Sasural’s Khana Khazana!! In Uttar Pradesh, it’s a winter delicacy and specially prepared on the auspicious occassion of “Makar Sankranthi”.It’s a Harvest Festival! People consider Urad dal is “Shubh”. On Sankranthi early morning , a vessel containing mixture of Urad dal and rice is kept in Poorab disha( Rising Sun direction )and every family member touches it before starting their day. Hence this Tahari also contains lentils like Urad and Chana dal along with Matar. There are few moments in life which let you feel accomplished, and a Poori getting puffed gradually at the center of Tawa is one such moment.